Cuzco (Agenzia Fides) - "Priests must take into consideration the main message of Pope Francis, in which he asks to give life to a Church with a priestly path of holiness and not of perfection", said Mgr. Nicola Girasoli, Apostolic Nuncio in Peru, during the visit last week to the Archdiocese of Cuzco, where he presided at the Eucharistic celebration at the Seminary of San Antonio Abad, concelebrated by Mgr. Richard Daniel Alarcón Urrutia, Metropolitan Archbishop of Cusco, and by Mgr. Fredi Aparicio Quispe, Vicar general. According to the note sent to Agenzia Fides, the Nuncio wanted to underline that to transmit, in every place he visits, the heart, love, affection and closeness of the Holy Father is very important. Mgr. Girasoli was a representative of the Holy See in Argentina from 2000 to 2006, so he was able to live in close contact with the then Archbishop of Buenos Aires, Card. Jorge Mario Bergoglio, of whom he affirms to be a "passionate admirer" because "every day, with the word and example, he invites us to live the pastoral ministry with humility and dedication". The Nuncio, who in 2017 wrote a book on the Pope entitled "Pope Francis: The Church of the Essential", recalls that one of the essential features of Pope Francis is "to be in the midst of God's people, to make everyone feel the closeness of the Pastor, with authenticity and not for reasons of office and protocol, the Pastor who takes concrete care of all people, who sees their wounds, consoles them, knows how to send them a strong message of hope". After the celebration, Archbishop Alarcón Urrutia, together with Mgr. 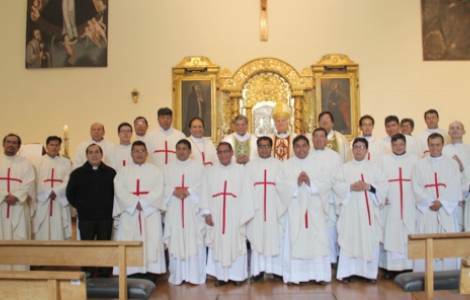 Aparicio and some priests and seminarians, had a meeting with the Apostolic Nuncio, during which they deepened the message of Pope Francis to priests, "because it is the essence of priestly work in our Archdiocese", said the Archbishop, who also announced the presence of Mgr. Girasoli in one of the most important feasts of the Church, the solemnity of Corpus Domini. A few days earlier, during the Chrism Mass in the Cathedral of Cuzco, Mgr. 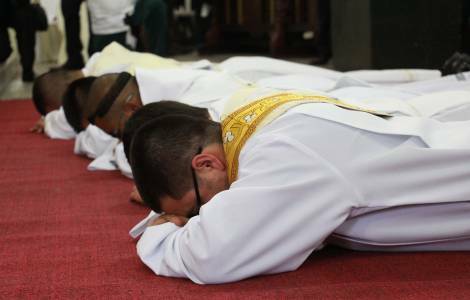 Alarcón Urrutia reminded his brother priests that "their evangelizing commitment will not have results if they do not translate the ideal of building a Church of communion, formation of missionary disciples and at the service of society through solidarity, mercy and charity into life".